Q: I am getting married in March and both of us have homes. We have definitely decided to turn his home into rental property and are considering turning mine into rental property as well. Both are in good locations for rental. The down side is that we need more cash than we have readily available for purchasing a new home for us to live in. Would it be a good idea to refinance my current home and take cash out for a down payment on the new home. I am told that we would need to do this as a investor loan and that the interest would be higher than a regular mortgage by about 1/2 to 3/4 percent. By doing this how would the money taken out of the refinancing by treated for tax purposes. What other information will you need to help us know what to do in this case. A: Are you still living in your home? 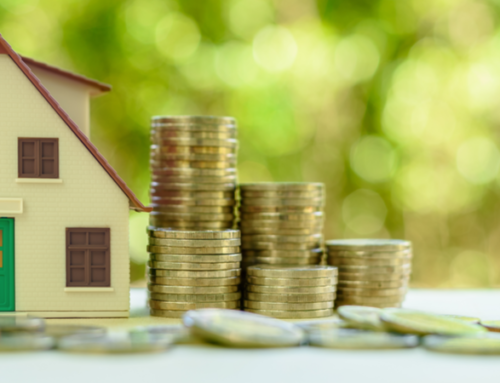 If you are living in your home and it is your personal residence, you may be able to refinance to pull out cash without paying the investor premium, typically a mortgage interest rate that is a half point higher with extra fees. If you are living in your fiance’s home, you may wish to refinance his place to pull out cash before you move. If you have moved out of your home, and still wish to do a cash-out refinance, you may wish to play around with different types of home loans in order to get the interest rate you’re looking for. For example, you may wish to get a 5-year adjustable rate mortgage, where the interest rate will be fixed for five years and then readjust at that time. The rate this loan carries will be lower than a 30-year fixed rate loan. Talk to your lender about the different possibilities. You might also wish to check out your credit union, if you belong to one. Finally, a good book to look is the Millionaire Real Estate Investor and Millionaire Real Estate Landlord series, available through my website, www.amazon.com, or your local bookstore.